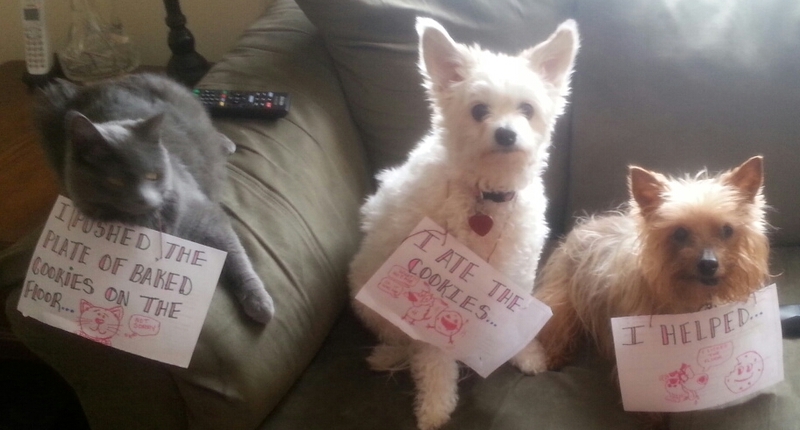 My animals are evil geniuses and are always plotting how to infiltrate the kitchen somehow. Scout, my cat, who quite frankly is the master mind, jumped the counter, pushing all the baked cookies on the floor. Delilah (the white westie cross) and Tommy (my toothless silky terrier) were right there waiting for them. I’m sure it was their happiest day ever. Posted October 12th, 2017 .